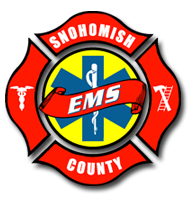 Snohomish County EMS has provided guidance, training, quality assurance, and certification support since 1977. 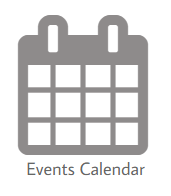 A small non-profit organization led by the EMS & Trauma Care Council of Snohomish County, and the Executive Board of the Council. 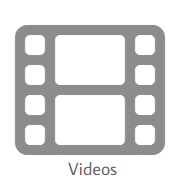 All stakeholders involved in Emergency Medical Service provision from EMS Providers, to EMS Agencies, Hospitals, Community Groups and the general public. 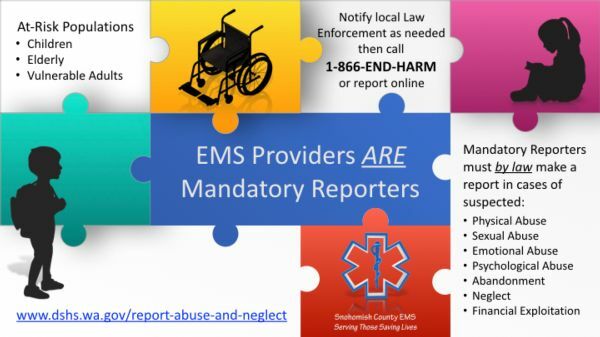 Click here to Report Abuse and Neglect EMS Providers ARE Mandatory Reporters: The historical practice of reporting child and vulnerable adult abuse by EMS Providers has been to pass the information on (i.e. report) to the ED Staff. Nurses and other practitioners are also required to report suspected abuse to DSHS or law enforcement. 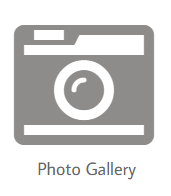 Proudly serving our community since 1977.